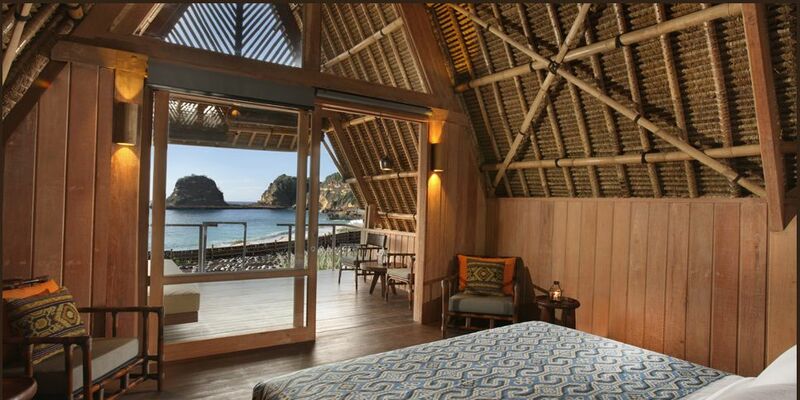 One of my friends introduced me to Jeeva Beloam, a beach camp, resort luxury style accommodation in Lombok, West Nusa Tenggara. After telling me that he will take one day leave to visit Jeeva Beloam, he asked me to check out its website. And below picture I found is the reason why this camp is on my bucket list. According to the website: Surrounded by a 55 hectare nature forest preserve, Jeeva Beloam’s five berugas are perched on a sand dune above a 250 meter long white sand beach. 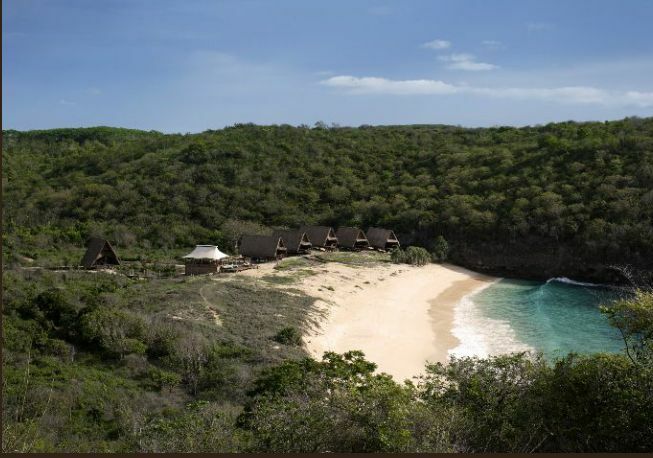 With views from the front terraces of the berugas across the Alas Strait to the island of Sumbawa and the open Hindia Ocean, Jeeva Beloam beach camp occupies one of the more spectacular natural settings in Lombok. Jeeva Beloam faces the Timor Sea and Alas Strait separating Lombok and Sumbawa on the Eastern edge of Lombok’s Tanjung Ringgit peninsula. The camp is near Ekas Bay with its world class diving and surfing opportunities and an easy walk to Teluk Temeak for snorkeling, diving and other water sports. Diving for advanced divers is also possible outside the Jeeva Beloam cove and along the cliffs of Tanjung Ringgit facing the Alas Straits. Jeeva Beloam’s 5 beach front berugas are traditional camp style inspired berugas with spacious covered beach front and ocean view terraces. This is definitely a must-go place. Take a look on their official website here. Tags: Bucket List, Travel. Bookmark the permalink.